Regular paintballs are the standard that have been enjoyed by millions for decades. LOW IMPACT Paintballs are a brand new way to play - the same game of paintball we all love, but the equipment fires smaller low impact paintballs that are less harsh when they splat. Low Impact is great for first timers and young thrill seekers! *BONUS* FREE COMPLETE PAINTBALL GUN PACKAGE FOR BIRTHDAY BOY OR GIRL TO TAKE HOME! Refrigerator available to store cake! HIGH IMPACT, or traditional paintball, is the standard that has been enjoyed by millions for decades. LOW IMPACT Paintball is a brand new way to play - it's the same game of paintball we all love, but the equipment fires smaller "low impact" paintballs that are less harsh when they splat. Low Impact is great for first timers and young thrill seekers! 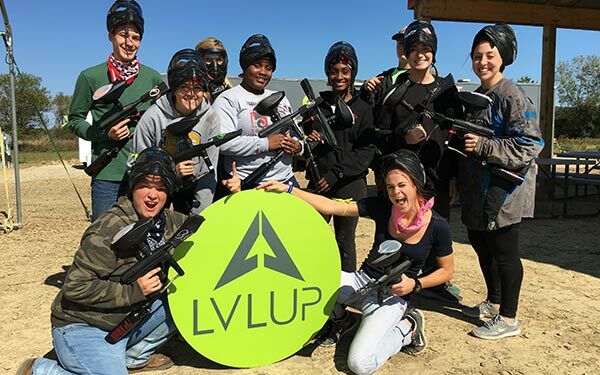 Book a Paintball Party at LVL UP! Use the contact form below and receive a call back within 24 hours to reserve your paintball party! Call or text us anytime (614) 313-1382 we will get your party on the books in less than 10 minutes on the phone. *$50 deposit is required for all parties, refundable if event is cancelled 72 hours in advance. Any of this confusing? We are here to help! Call / text us at 614-313-1382 or e-mail info@LVLUPsports.com and we’ll get back to you ASAP. What if I have More or Less Than 10 Players? Do You Have Tables For Cake / Pizza and Non-Players? 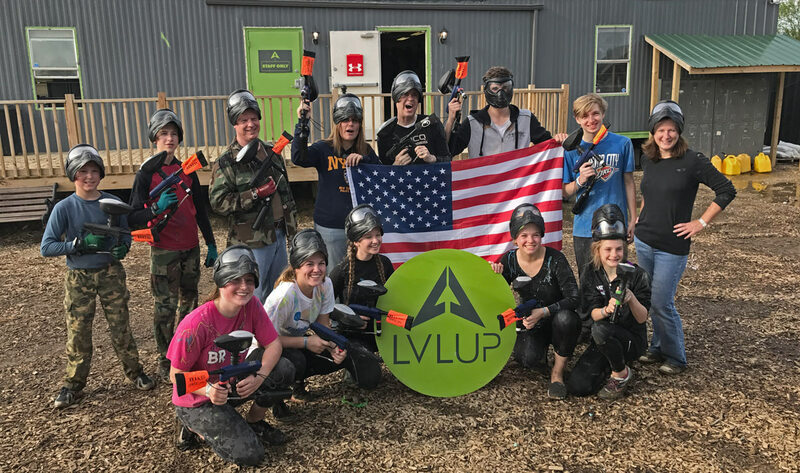 All LVL UP Sports paintball party deposits are 100% refundable as long as you cancel or change your reservation 48 hours in advance. We are bringing in staff member(s) specifically to host your event, so we require a deposit only to protect ourselves from no-shows. Your deposit will be deductible from your final balance the day of your party. We have plenty of drinks and snacks available for purchase in our proshop. You are welcome to bring your own food and drinks as well. For pizza / catering options, give us a call and we can pass on any discounts we have with local vendors! Alcohol is not permitted. Our paintball parties all come with 10 players included. If you have less than 10, no worries, that just means you’ll have more paintballs to share! If you have more than 10 players, no problem, there is just a $15 charge per player after 10 to cover rental equipment cost etc. We have a large pavilion filled with picnic tables outside of the playing areas to accommodate your group. Feel free to bring your own table cloths / decorations. Our pavilion are is open to all customers, these are not private rooms, but with your party reservation we will make sure your crew has their own table.